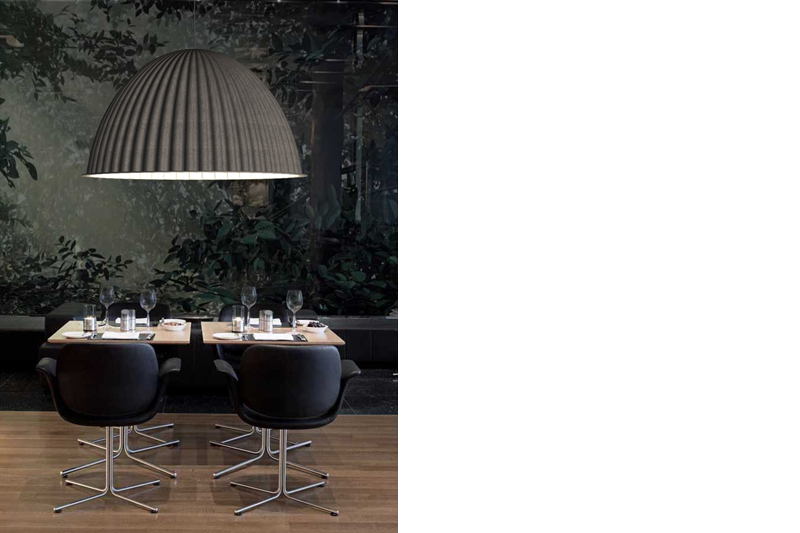 Under the Bell is not just a lampshade, content to house a light source and reflect it down. As it hangs over the table, it creates a room within a room – both physically and psychologically. Like a dome encasing a building. 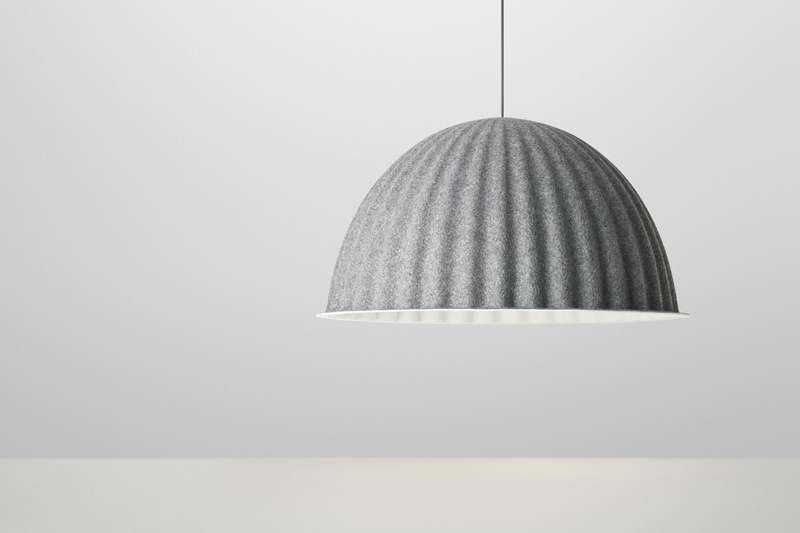 The lampshade is moulded from two-tone recycled polyester. The acoustic properties of felt combine with its cupola shape to insulate the space under the bell, building a “room of sound” around your table.